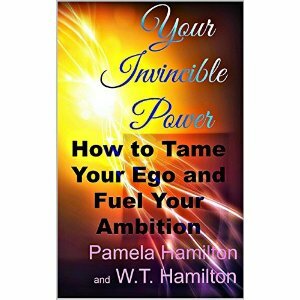 "How to Tame Your Ego and Fuel Your Ambition" is a powerful book about controlling your ego to unlock the power of your ambition. One thing I love about this book is it starts with the basics, for example, explaining what the egoic mind is and how it impacts ambition. As someone with minimal psychology background, I found this to be very helpful. Once the reader has an understanding of the ego, the author moves onto how to tame the negative aspects of the mind and fuel the positive aspects to stoke the flames of ambition. This book outlines a lot of info and covers a lot of ground, but the writing is clear and concise, making it easy to digest. My favorite thing about the book is that it's practical. It's information you can implement into your life to help you reach your goals. A recommend read if you're looking to harness the power of your ambition!